At the 2019 Cinch RSNC World Finals, Cinch RSNC will offer an “All Breeds Futurity and Maturity”. The Futurity is for all 4 year old and younger horses. The Maturity is for horses of any age. In addition there is an incentive in which all eligible horses can ride for a minimum of $10,000 added to each Maturity and $5,000 added to each Futurity. -Through a nominated stallion or breeder. -Through a trainer who has nominated all horses he or she owns or has previously owned. 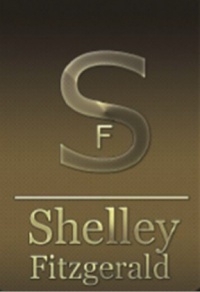 -Through any owner’s self-nomination of all horses he or she owns or has previously owned. 1.In the futurity two classes will be offered, an open futurity for riders rated 6 and above, and a non pro futurity for riders rated 5 and below. 2. The classes will be ran as a ranch hand class with 4 year old horses sorting. Any non-pro rated rider can hold the gate on any horse in the non-pro division and any rated rider can hold the gate on any horse in the open division. Cinch RSNC handicap rules apply. 3. A sorter can enter up to 5 sorting horses and can pick any partner or partners depending on non-pro/open ratings to hold the gate. 4. There is no limit on the number of times gate holders can hold the gate. 5. Current Cinch RSNC rules will determine number of go rounds and number of teams brought back. 6. Contestants must have ridden in 5 Cinch RSNC events in the 2018-2019 season unless they are a 1st year member as of June 15, 2018. In the maturity two classes will be offered, an open maturity for any rated rider, and a non pro maturity for riders rated 5 and below. 2. The classes will be run as sorting classes with both riders on the team meeting the rider rating and horse age requirements. Cinch RSNC handicap rules apply. 3. Contestants can enter up to 5 times on 5 different horses and no horse can be ridden twice in the same maturity. 4. Horses can be ridden in both the Open and Non Pro Maturity. Current Cinch RSNC rules will determine number of go rounds and number of teams brought back. 5. 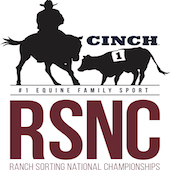 Contestants must have ridden in 5 Cinch RSNC events in the 2018-2019 season unless they are a 1st year member as of June 15, 2018. 1.The entry fee is $250 for any eligible sorting horse. The entry fee for gate riders in the futurities is $50 with 80% of the gate jackpot monies being paid back to the top placing gate riders. None of the guaranteed added money is for gate riders in the futurities. 80% of all entry fees will be paid back as a jackpot to the top placing horses. Amount of places paid will be based on Cinch RSNC rules. Proceeds from stallion sponsorship fees will be used as follows. 10% will be reserved to split between the highest point earning Quarter Horse and any other breed stallion in the Futurity. a. All stallion nomination fees from Quarter Horse stallions will go into the overall pool plus 50% of all stallion nomination fees from stallion of other breeds. b. The remaining 50% of stallion sponsorship fees from all stallions of other breeds will remain as an incentive pool for horses of other breeds. c. A minimum of $20,000 will be added to the maturity with $10,000 added for the open and $10,000 added for the non pro. d. A minimum of $10,000 will be added to the futurity with $5,000 added for the open and $5000 added for the non pro.